In 2016, Sunshine Harvester PS rolled out 1-1 devices for students in grades 1-6. Many schools are currently operating BYOD (Bring Your Own Device) programs. We saw these as problematic in our community where such a program leads to clear 'haves' and 'have nots'. Instead, we provide each student with a Chromebook. 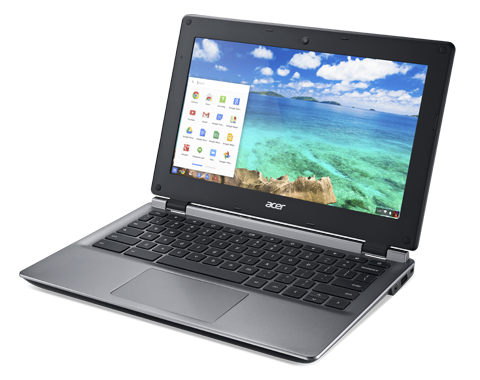 Chromebooks are a new kind of computer where everything is done through the Internet. They have many advantages in educational settings and are becoming devices of choice in many schools. At the same time, we also adopted Google Apps for Education as our main platform for online learning. We use Google Apps to create content, run online classrooms and provide feedback to students.